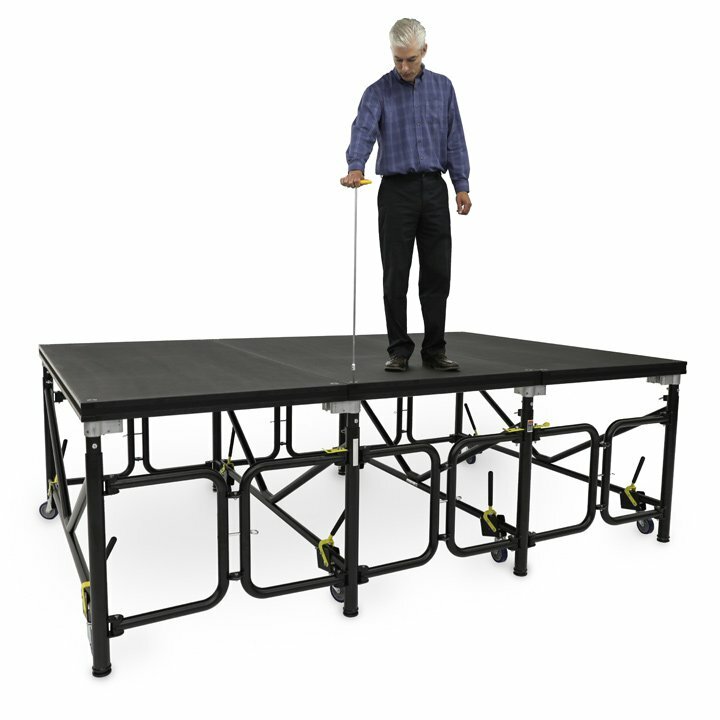 The new Venue Maker Pro (VMP) Stage System is in a class of its own. 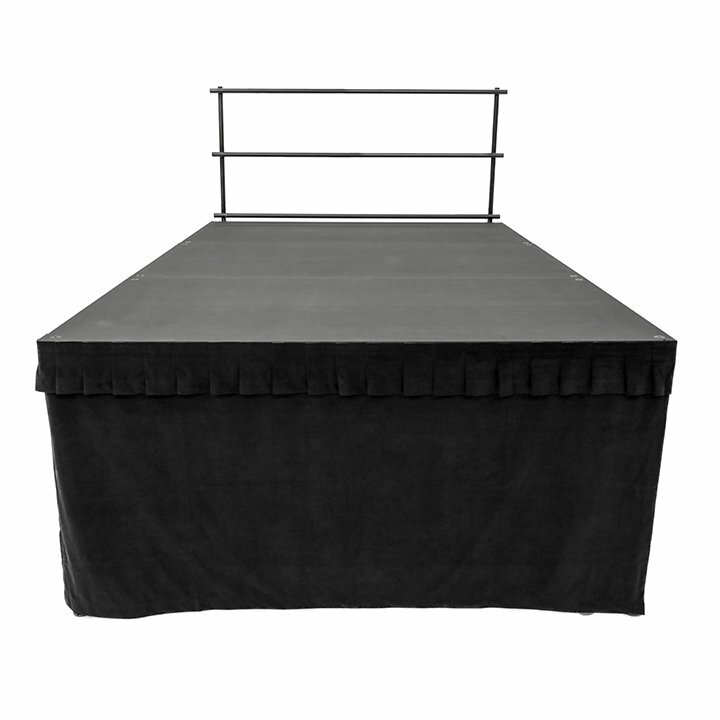 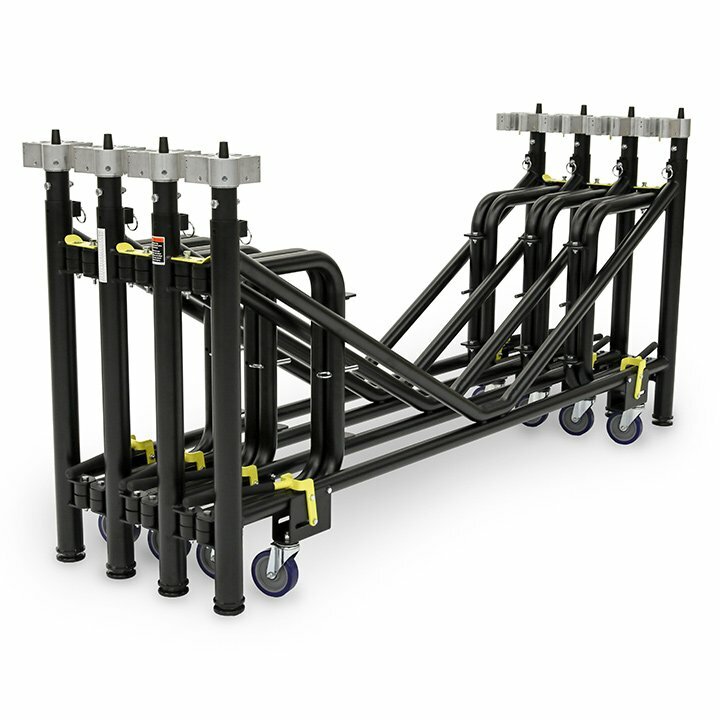 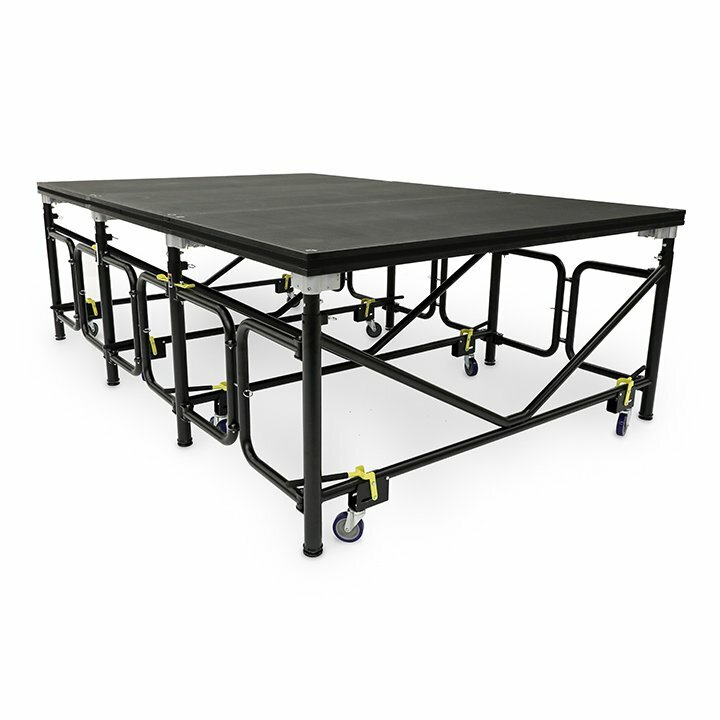 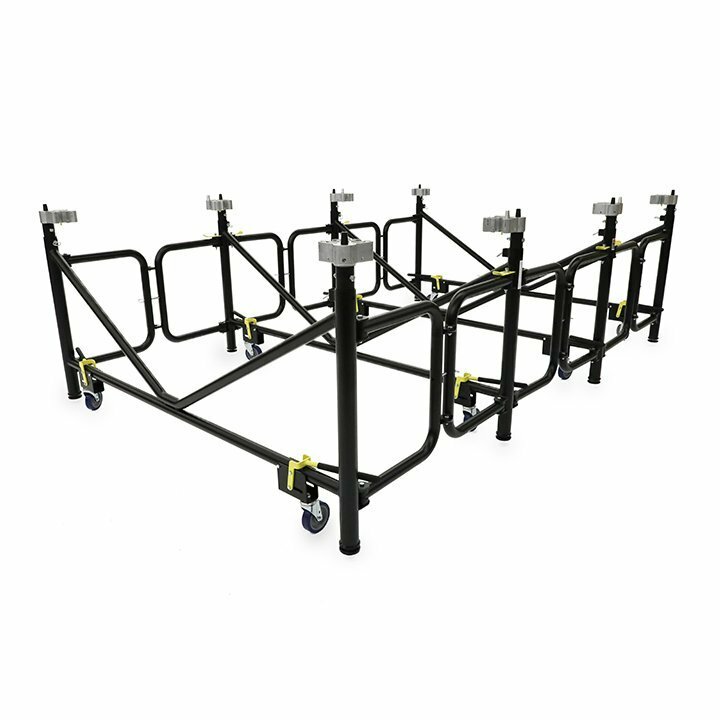 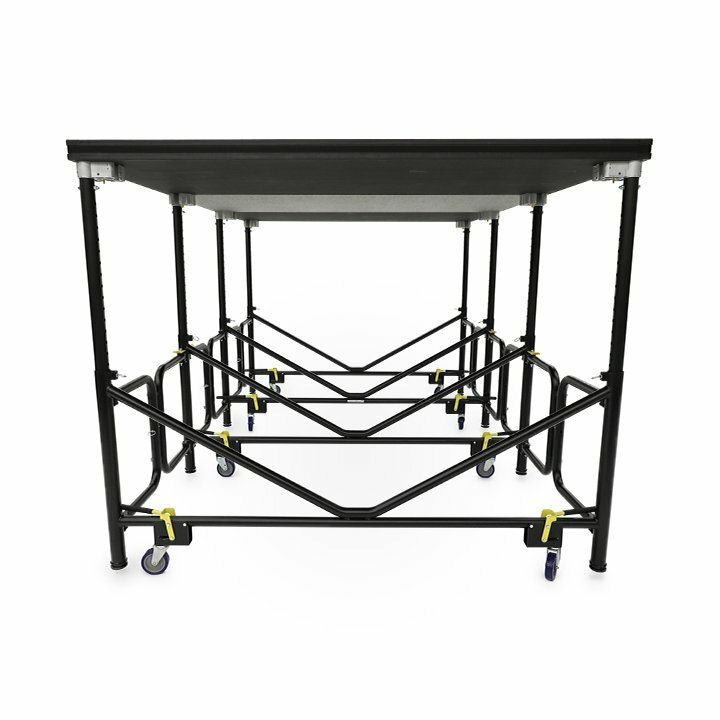 With its patent pending features of a top levelling system, unique guardrail attachment and step-through v-shaped frame for easy access under the stage, the VMP is ready to take on your venue’s next performance with ease. 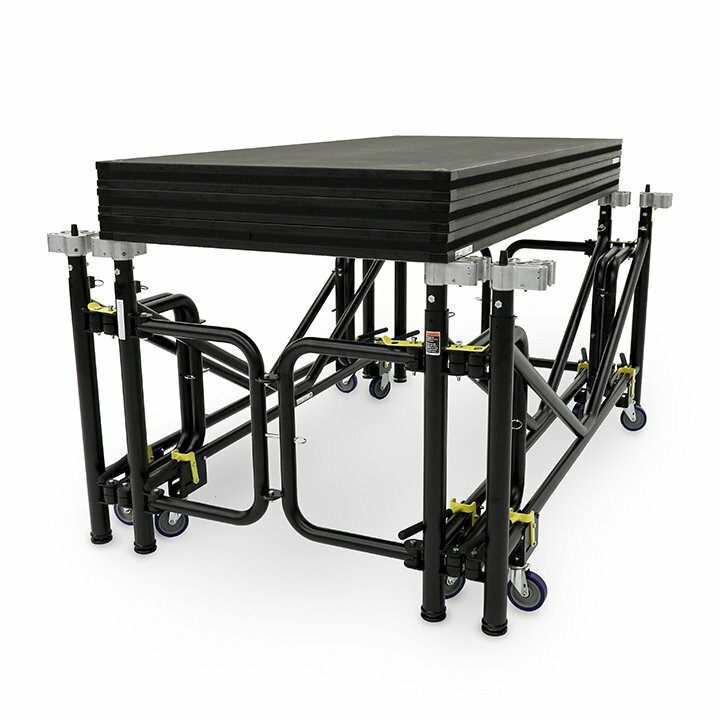 Top Deck Levelling — Reduce levelling and set-up time. 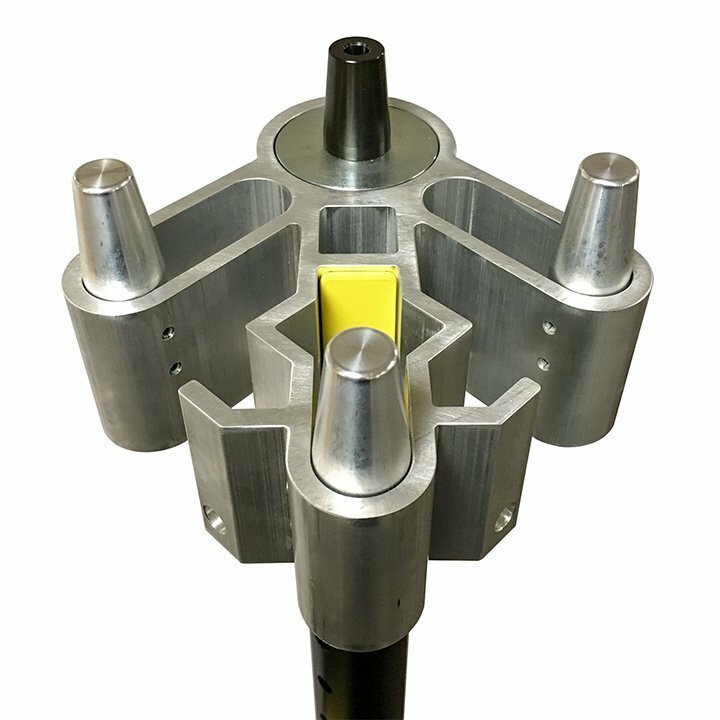 Fine tune the level plane from above the deck surface.